We often hear from the adults: “What a pity that parents did not care to get my teeth straight”. Healthy and straight teeth are beautiful and draw attention, but not everyone knows that braces can be set to people aged from 12 to 100. Of course, it is very good when you visited the doctor-orthodontist in adolescence, but still, it is better late than never.We often hear from the adults: “What a pity that parents did not care to get my teeth straight”. Healthy and straight teeth are beautiful and draw attention, but not everyone knows that braces can be set to people aged from 12 to 100. Of course, it is very good when you visited the doctor-orthodontist in adolescence, but still, it is better late than never.We often hear from the adults: “What a pity that parents did not care to get my teeth straight”. Healthy and straight teeth are beautiful and draw attention, but not everyone knows that braces can be set to people aged from 12 to 100. Of course, it is very good when you visited the doctor-orthodontist in adolescence, but still, it is better late than never.We often hear from the adults: “What a pity that parents did not care to get my teeth straight”. Healthy and straight teeth are beautiful and draw attention, but not everyone knows that braces can be set to people aged from 12 to 100. Of course, it is very good when you visited the doctor-orthodontist in adolescence, but still, it is better late than never.We often hear from the adults: “What a pity that parents did not care to get my teeth straight”. Healthy and straight teeth are beautiful and draw attention, but not everyone knows that braces can be set to people aged from 12 to 100. Of course, it is very good when you visited the doctor-orthodontist in adolescence, but still, it is better late than never.We often hear from the adults: “What a pity that parents did not care to get my teeth straight”. Healthy and straight teeth are beautiful and draw attention, but not everyone knows that braces can be set to people aged from 12 to 100. Of course, it is very good when you visited the doctor-orthodontist in adolescence, but still, it is better late than never.We often hear from the adults: “What a pity that parents did not care to get my teeth straight”. Healthy and straight teeth are beautiful and draw attention, but not everyone knows that braces can be set to people aged from 12 to 100. Of course, it is very good when you visited the doctor-orthodontist in adolescence, but still, it is better late than never.We often hear from the adults: “What a pity that parents did not care to get my teeth straight”. Healthy and straight teeth are beautiful and draw attention, but not everyone knows that braces can be set to people aged from 12 to 100. Of course, it is very good when you visited the doctor-orthodontist in adolescence, but still, it is better late than never.We often hear from the adults: “What a pity that parents did not care to get my teeth straight”. Healthy and straight teeth are beautiful and draw attention, but not everyone knows that braces can be set to people aged from 12 to 100. Of course, it is very good when you visited the doctor-orthodontist in adolescence, but still, it is better late than never.We often hear from the adults: “What a pity that parents did not care to get my teeth straight”. Healthy and straight teeth are beautiful and draw attention, but not everyone knows that braces can be set to people aged from 12 to 100. Of course, it is very good when you visited the doctor-orthodontist in adolescence, but still, it is better late than never.We often hear from the adults: “What a pity that parents did not care to get my teeth straight”. Healthy and straight teeth are beautiful and draw attention, but not everyone knows that braces can be set to people aged from 12 to 100. Of course, it is very good when you visited the doctor-orthodontist in adolescence, but still, it is better late than never.We often hear from the adults: “What a pity that parents did not care to get my teeth straight”. Healthy and straight teeth are beautiful and draw attention, but not everyone knows that braces can be set to people aged from 12 to 100. Of course, it is very good when you visited the doctor-orthodontist in adolescence, but still, it is better late than never.We often hear from the adults: “What a pity that parents did not care to get my teeth straight”. Healthy and straight teeth are beautiful and draw attention, but not everyone knows that braces can be set to people aged from 12 to 100. Of course, it is very good when you visited the doctor-orthodontist in adolescence, but still, it is better late than never.We often hear from the adults: “What a pity that parents did not care to get my teeth straight”. Healthy and straight teeth are beautiful and draw attention, but not everyone knows that braces can be set to people aged from 12 to 100. Of course, it is very good when you visited the doctor-orthodontist in adolescence, but still, it is better late than never.We often hear from the adults: “What a pity that parents did not care to get my teeth straight”. Healthy and straight teeth are beautiful and draw attention, but not everyone knows that braces can be set to people aged from 12 to 100. Of course, it is very good when you visited the doctor-orthodontist in adolescence, but still, it is better late than never.We often hear from the adults: “What a pity that parents did not care to get my teeth straight”. Healthy and straight teeth are beautiful and draw attention, but not everyone knows that braces can be set to people aged from 12 to 100. Of course, it is very good when you visited the doctor-orthodontist in adolescence, but still, it is better late than never.We often hear from the adults: “What a pity that parents did not care to get my teeth straight”. Healthy and straight teeth are beautiful and draw attention, but not everyone knows that braces can be set to people aged from 12 to 100. Of course, it is very good when you visited the doctor-orthodontist in adolescence, but still, it is better late than never.We often hear from the adults: “What a pity that parents did not care to get my teeth straight”. Healthy and straight teeth are beautiful and draw attention, but not everyone knows that braces can be set to people aged from 12 to 100. Of course, it is very good when you visited the doctor-orthodontist in adolescence, but still, it is better late than never.We often hear from the adults: “What a pity that parents did not care to get my teeth straight”. Healthy and straight teeth are beautiful and draw attention, but not everyone knows that braces can be set to people aged from 12 to 100. Of course, it is very good when you visited the doctor-orthodontist in adolescence, but still, it is better late than never.We often hear from the adults: “What a pity that parents did not care to get my teeth straight”. Healthy and straight teeth are beautiful and draw attention, but not everyone knows that braces can be set to people aged from 12 to 100. Of course, it is very good when you visited the doctor-orthodontist in adolescence, but still, it is better late than never.We often hear from the adults: “What a pity that parents did not care to get my teeth straight”. Healthy and straight teeth are beautiful and draw attention, but not everyone knows that braces can be set to people aged from 12 to 100. Of course, it is very good when you visited the doctor-orthodontist in adolescence, but still, it is better late than never.We often hear from the adults: “What a pity that parents did not care to get my teeth straight”. Healthy and straight teeth are beautiful and draw attention, but not everyone knows that braces can be set to people aged from 12 to 100. Of course, it is very good when you visited the doctor-orthodontist in adolescence, but still, it is better late than never.We often hear from the adults: “What a pity that parents did not care to get my teeth straight”. Healthy and straight teeth are beautiful and draw attention, but not everyone knows that braces can be set to people aged from 12 to 100. Of course, it is very good when you visited the doctor-orthodontist in adolescence, but still, it is better late than never.We often hear from the adults: “What a pity that parents did not care to get my teeth straight”. Healthy and straight teeth are beautiful and draw attention, but not everyone knows that braces can be set to people aged from 12 to 100. Of course, it is very good when you visited the doctor-orthodontist in adolescence, but still, it is better late than never.We often hear from the adults: “What a pity that parents did not care to get my teeth straight”. Healthy and straight teeth are beautiful and draw attention, but not everyone knows that braces can be set to people aged from 12 to 100. Of course, it is very good when you visited the doctor-orthodontist in adolescence, but still, it is better late than never.We often hear from the adults: “What a pity that parents did not care to get my teeth straight”. Healthy and straight teeth are beautiful and draw attention, but not everyone knows that braces can be set to people aged from 12 to 100. Of course, it is very good when you visited the doctor-orthodontist in adolescence, but still, it is better late than never.We often hear from the adults: “What a pity that parents did not care to get my teeth straight”. Healthy and straight teeth are beautiful and draw attention, but not everyone knows that braces can be set to people aged from 12 to 100. Of course, it is very good when you visited the doctor-orthodontist in adolescence, but still, it is better late than never.We often hear from the adults: “What a pity that parents did not care to get my teeth straight”. Healthy and straight teeth are beautiful and draw attention, but not everyone knows that braces can be set to people aged from 12 to 100. Of course, it is very good when you visited the doctor-orthodontist in adolescence, but still, it is better late than never.We often hear from the adults: “What a pity that parents did not care to get my teeth straight”. Healthy and straight teeth are beautiful and draw attention, but not everyone knows that braces can be set to people aged from 12 to 100. Of course, it is very good when you visited the doctor-orthodontist in adolescence, but still, it is better late than never.We often hear from the adults: “What a pity that parents did not care to get my teeth straight”. Healthy and straight teeth are beautiful and draw attention, but not everyone knows that braces can be set to people aged from 12 to 100. Of course, it is very good when you visited the doctor-orthodontist in adolescence, but still, it is better late than never.We often hear from the adults: “What a pity that parents did not care to get my teeth straight”. Healthy and straight teeth are beautiful and draw attention, but not everyone knows that braces can be set to people aged from 12 to 100. Of course, it is very good when you visited the doctor-orthodontist in adolescence, but still, it is better late than never.We often hear from the adults: “What a pity that parents did not care to get my teeth straight”. Healthy and straight teeth are beautiful and draw attention, but not everyone knows that braces can be set to people aged from 12 to 100. 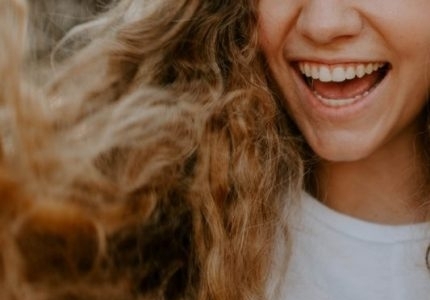 Of course, it is very good when you visited the doctor-orthodontist in adolescence, but still, it is better late than never.We often hear from the adults: “What a pity that parents did not care to get my teeth straight”. Healthy and straight teeth are beautiful and draw attention, but not everyone knows that braces can be set to people aged from 12 to 100. Of course, it is very good when you visited the doctor-orthodontist in adolescence, but still, it is better late than never.We often hear from the adults: “What a pity that parents did not care to get my teeth straight”. Healthy and straight teeth are beautiful and draw attention, but not everyone knows that braces can be set to people aged from 12 to 100. Of course, it is very good when you visited the doctor-orthodontist in adolescence, but still, it is better late than never.We often hear from the adults: “What a pity that parents did not care to get my teeth straight”. Healthy and straight teeth are beautiful and draw attention, but not everyone knows that braces can be set to people aged from 12 to 100. Of course, it is very good when you visited the doctor-orthodontist in adolescence, but still, it is better late than never.We often hear from the adults: “What a pity that parents did not care to get my teeth straight”. Healthy and straight teeth are beautiful and draw attention, but not everyone knows that braces can be set to people aged from 12 to 100. Of course, it is very good when you visited the doctor-orthodontist in adolescence, but still, it is better late than never.We often hear from the adults: “What a pity that parents did not care to get my teeth straight”. Healthy and straight teeth are beautiful and draw attention, but not everyone knows that braces can be set to people aged from 12 to 100. Of course, it is very good when you visited the doctor-orthodontist in adolescence, but still, it is better late than never.We often hear from the adults: “What a pity that parents did not care to get my teeth straight”. Healthy and straight teeth are beautiful and draw attention, but not everyone knows that braces can be set to people aged from 12 to 100. Of course, it is very good when you visited the doctor-orthodontist in adolescence, but still, it is better late than never.We often hear from the adults: “What a pity that parents did not care to get my teeth straight”. Healthy and straight teeth are beautiful and draw attention, but not everyone knows that braces can be set to people aged from 12 to 100. Of course, it is very good when you visited the doctor-orthodontist in adolescence, but still, it is better late than never.We often hear from the adults: “What a pity that parents did not care to get my teeth straight”. Healthy and straight teeth are beautiful and draw attention, but not everyone knows that braces can be set to people aged from 12 to 100. Of course, it is very good when you visited the doctor-orthodontist in adolescence, but still, it is better late than never.We often hear from the adults: “What a pity that parents did not care to get my teeth straight”. Healthy and straight teeth are beautiful and draw attention, but not everyone knows that braces can be set to people aged from 12 to 100. Of course, it is very good when you visited the doctor-orthodontist in adolescence, but still, it is better late than never.We often hear from the adults: “What a pity that parents did not care to get my teeth straight”. Healthy and straight teeth are beautiful and draw attention, but not everyone knows that braces can be set to people aged from 12 to 100. Of course, it is very good when you visited the doctor-orthodontist in adolescence, but still, it is better late than never.We often hear from the adults: “What a pity that parents did not care to get my teeth straight”. Healthy and straight teeth are beautiful and draw attention, but not everyone knows that braces can be set to people aged from 12 to 100. Of course, it is very good when you visited the doctor-orthodontist in adolescence, but still, it is better late than never.We often hear from the adults: “What a pity that parents did not care to get my teeth straight”. Healthy and straight teeth are beautiful and draw attention, but not everyone knows that braces can be set to people aged from 12 to 100. Of course, it is very good when you visited the doctor-orthodontist in adolescence, but still, it is better late than never.We often hear from the adults: “What a pity that parents did not care to get my teeth straight”. Healthy and straight teeth are beautiful and draw attention, but not everyone knows that braces can be set to people aged from 12 to 100. Of course, it is very good when you visited the doctor-orthodontist in adolescence, but still, it is better late than never.We often hear from the adults: “What a pity that parents did not care to get my teeth straight”. Healthy and straight teeth are beautiful and draw attention, but not everyone knows that braces can be set to people aged from 12 to 100. Of course, it is very good when you visited the doctor-orthodontist in adolescence, but still, it is better late than never.We often hear from the adults: “What a pity that parents did not care to get my teeth straight”. Healthy and straight teeth are beautiful and draw attention, but not everyone knows that braces can be set to people aged from 12 to 100. Of course, it is very good when you visited the doctor-orthodontist in adolescence, but still, it is better late than never.We often hear from the adults: “What a pity that parents did not care to get my teeth straight”. Healthy and straight teeth are beautiful and draw attention, but not everyone knows that braces can be set to people aged from 12 to 100. Of course, it is very good when you visited the doctor-orthodontist in adolescence, but still, it is better late than never.We often hear from the adults: “What a pity that parents did not care to get my teeth straight”. Healthy and straight teeth are beautiful and draw attention, but not everyone knows that braces can be set to people aged from 12 to 100. Of course, it is very good when you visited the doctor-orthodontist in adolescence, but still, it is better late than never.We often hear from the adults: “What a pity that parents did not care to get my teeth straight”. Healthy and straight teeth are beautiful and draw attention, but not everyone knows that braces can be set to people aged from 12 to 100. Of course, it is very good when you visited the doctor-orthodontist in adolescence, but still, it is better late than never.We often hear from the adults: “What a pity that parents did not care to get my teeth straight”. Healthy and straight teeth are beautiful and draw attention, but not everyone knows that braces can be set to people aged from 12 to 100. Of course, it is very good when you visited the doctor-orthodontist in adolescence, but still, it is better late than never.We often hear from the adults: “What a pity that parents did not care to get my teeth straight”. Healthy and straight teeth are beautiful and draw attention, but not everyone knows that braces can be set to people aged from 12 to 100. Of course, it is very good when you visited the doctor-orthodontist in adolescence, but still, it is better late than never.We often hear from the adults: “What a pity that parents did not care to get my teeth straight”. Healthy and straight teeth are beautiful and draw attention, but not everyone knows that braces can be set to people aged from 12 to 100. Of course, it is very good when you visited the doctor-orthodontist in adolescence, but still, it is better late than never.We often hear from the adults: “What a pity that parents did not care to get my teeth straight”. Healthy and straight teeth are beautiful and draw attention, but not everyone knows that braces can be set to people aged from 12 to 100. Of course, it is very good when you visited the doctor-orthodontist in adolescence, but still, it is better late than never.We often hear from the adults: “What a pity that parents did not care to get my teeth straight”. Healthy and straight teeth are beautiful and draw attention, but not everyone knows that braces can be set to people aged from 12 to 100. Of course, it is very good when you visited the doctor-orthodontist in adolescence, but still, it is better late than never.We often hear from the adults: “What a pity that parents did not care to get my teeth straight”. Healthy and straight teeth are beautiful and draw attention, but not everyone knows that braces can be set to people aged from 12 to 100. Of course, it is very good when you visited the doctor-orthodontist in adolescence, but still, it is better late than never.We often hear from the adults: “What a pity that parents did not care to get my teeth straight”. Healthy and straight teeth are beautiful and draw attention, but not everyone knows that braces can be set to people aged from 12 to 100. Of course, it is very good when you visited the doctor-orthodontist in adolescence, but still, it is better late than never.We often hear from the adults: “What a pity that parents did not care to get my teeth straight”. Healthy and straight teeth are beautiful and draw attention, but not everyone knows that braces can be set to people aged from 12 to 100. Of course, it is very good when you visited the doctor-orthodontist in adolescence, but still, it is better late than never.We often hear from the adults: “What a pity that parents did not care to get my teeth straight”. Healthy and straight teeth are beautiful and draw attention, but not everyone knows that braces can be set to people aged from 12 to 100. Of course, it is very good when you visited the doctor-orthodontist in adolescence, but still, it is better late than never.We often hear from the adults: “What a pity that parents did not care to get my teeth straight”. Healthy and straight teeth are beautiful and draw attention, but not everyone knows that braces can be set to people aged from 12 to 100. Of course, it is very good when you visited the doctor-orthodontist in adolescence, but still, it is better late than never.We often hear from the adults: “What a pity that parents did not care to get my teeth straight”. Healthy and straight teeth are beautiful and draw attention, but not everyone knows that braces can be set to people aged from 12 to 100. Of course, it is very good when you visited the doctor-orthodontist in adolescence, but still, it is better late than never.We often hear from the adults: “What a pity that parents did not care to get my teeth straight”. Healthy and straight teeth are beautiful and draw attention, but not everyone knows that braces can be set to people aged from 12 to 100. Of course, it is very good when you visited the doctor-orthodontist in adolescence, but still, it is better late than never.We often hear from the adults: “What a pity that parents did not care to get my teeth straight”. Healthy and straight teeth are beautiful and draw attention, but not everyone knows that braces can be set to people aged from 12 to 100. Of course, it is very good when you visited the doctor-orthodontist in adolescence, but still, it is better late than never.We often hear from the adults: “What a pity that parents did not care to get my teeth straight”. Healthy and straight teeth are beautiful and draw attention, but not everyone knows that braces can be set to people aged from 12 to 100. Of course, it is very good when you visited the doctor-orthodontist in adolescence, but still, it is better late than never. 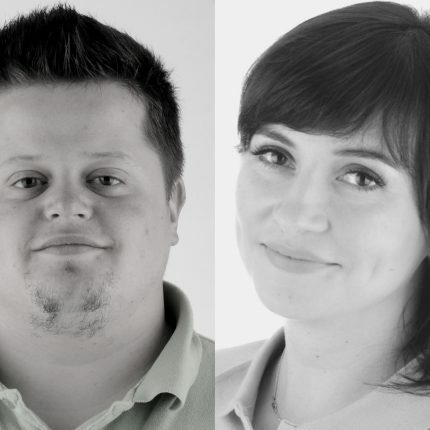 Does malocclusion need to be fixed? “Better late than never. Yeah, it means that it doesn’t matter – today or tomorrow. So, it is not that necessary! “- you thought. Beauty is important, but there are other reasons to put braces on the teeth to correct the bite. First of all, malocclusion is an uneven load on a jaw that causes pain of the chewing muscles, even neck and head. Secondly, an early loss of teeth is also possible, and malocclusion causes problems for implant or dentures installation. To protect yourself from various problems related to bite, you can do it by using the bracket system.“Better late than never. Yeah, it means that it doesn’t matter – today or tomorrow. So, it is not that necessary! “- you thought. Beauty is important, but there are other reasons to put braces on the teeth to correct the bite. To protect yourself from various problems related to bite, you can do it by using the bracket system. And what kind of braces are there to chose from? We can rejoice that we live in the XXI century as the variety of different braces is tremendous. The most simple and well-known are metal braces. Over the century they have helped to align teeth and today are also very popular. Ceramic braces are the most aesthetic among external braces. They have a matte colored ceramic setting of tooth color that serves as the basis. That is why they are less visible than metal braces. There is also the option of combined braces when transparent locks are set into the front teeth, and metal ones to the remaining teeth. The third type of braces is lingual braces. They are called this way as they are located on the inner side from teeth. These braces are also called invisible braces. 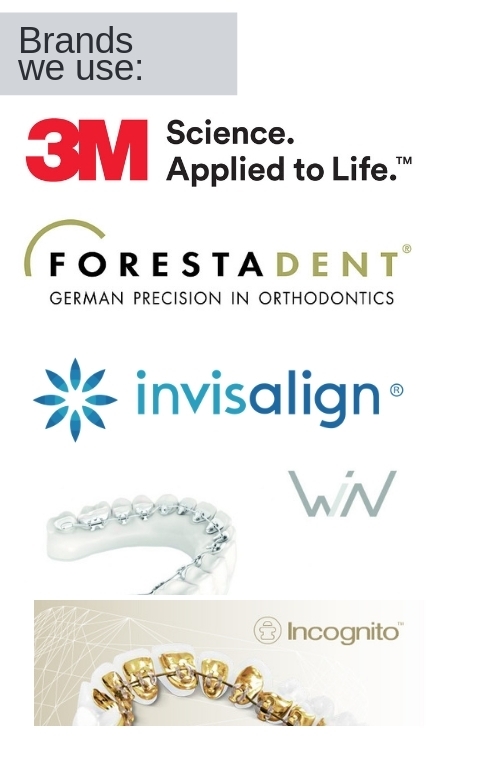 Benefits are: invisibility, individual braces’ production and fast treatment. The fourth type of braces systems is individual mouth guards. 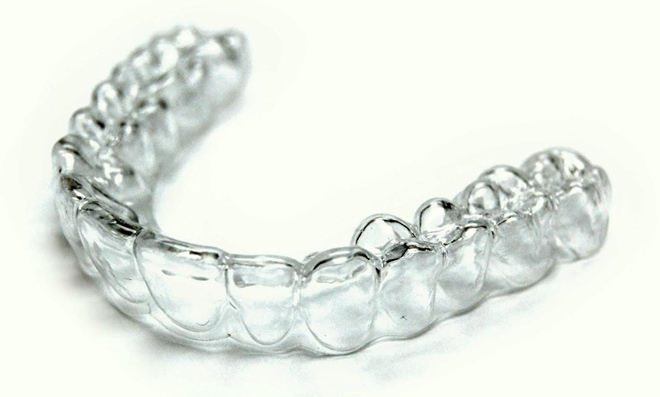 Mouth guards are transparent covers on teeth that can be removed. They are the newest among external braces. Plus, they are invisible, but there is also a minus. Have you guessed? Yes, that they can be removed. Thus, we recommend this type to persons with patience and willpower, otherwise you will not succeed or teeth alignment will last very long. 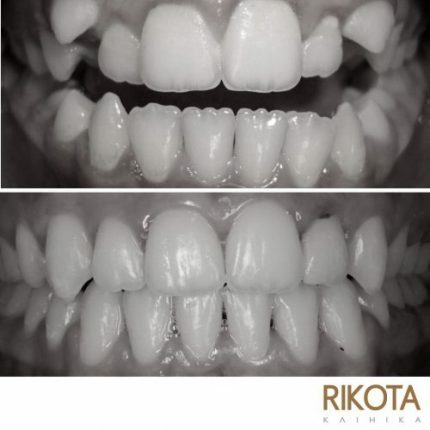 You can get a qualified orthodontist help from Rikota Dental Clinic when choosing the braces.We can rejoice that we live in the XXI century as the variety of different braces is tremendous. 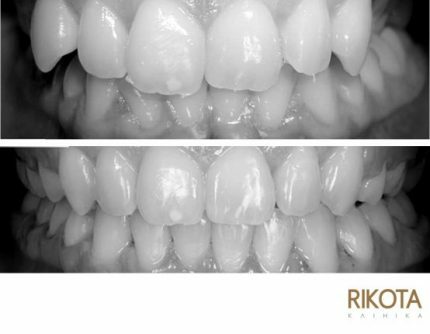 You can get a qualified orthodontist help from Rikota Dental Clinic when choosing the braces.